What is happening at the margins of Muslim identities? Where are those margins? And what is beyond them, in seemingly non-Muslim space? A familiar way of addressing these questions is to locate them in contexts where Muslims are minorities, or new arrivals. Hence, the robust literatures that, despite all attempts at euphemism, can be labeled “Islam in the West.” The focus here is on Muslim immigrants and, with some effort, local (or “indigenous”) Muslims of various kinds. The background assumption, pervasive in this literature, is that Muslims do not (yet) or cannot (ever) belong in the U.S., or Britain, or Germany, or France. Ambient critique of Muslims, and anti-Muslim politics, is countered in numerous ways: it is linked to Orientalism and colonialism, to the privileging of Christian and Jewish communities over Muslim ones, to racism and Islamophobia, and to geopolitical agendas that make the subjugation of certain Muslim populations a vital interest to world leaders. Another way of locating the margins of Islam is to address the concerns of Muslim minorities within the Muslim nation-states, or to consider groups that question, in belief or practice, the forms of Islam favored by the state. This orientation has produced studies of Shi`a political mobilization, Salafi reformists, the alterity of Sufism, and expressly Muslim forms of dissent. One might even say that larger questions of “secularism” and “modernity” define all Muslims, and Islam itself, as subject to a superior, governing power, in effect minoritizing Islam and Muslims. The margins of Muslim identity, it follows, are everywhere, and interactions across them are constant. I’ve invited Jouili to discuss this conclusion further with three CSSH authors. Mucahit Bilici has written about Muslim Americans on our pages (53/3: 595-622). His book, Finding Mecca in America: How Islam is Becoming an American Religion (Chicago, 2012), looks closely at how immigrant and American-born Muslims create a sense of home for themselves in non-Muslim surroundings. Esra Özyürek, another CSSH author (51/1: 91-116; 58/1: 40-65), has studied German converts to Islam, Christian missionary efforts in Turkey, the status of Turkish Muslims in Europe, and the politics of Muslim and minority inclusion in multiple contexts. She is the author of Being German, becoming Muslim: Race, Religion, and Conversion in the New Europe (Princeton, 2014). Kabir Tambar’s CSSH essay on Alevi Turks (52/3: 652-679) later appeared in his book, The Reckoning of Pluralism: Political Belonging and the Demands of History in Turkey (Stanford, 2014), which tackles issues of inclusion, and the lines drawn between cultural and religious identities, as they manifest in a Muslim-majority society. Jeanette Jouili’s work can be sampled at book length in Pious Practice and Secular Constraints: Women in the Islamic Revival in Europe (Stanford, 2015). Another monograph, Islam on Stage: British Muslim Culture in the Age of Counter-Terrorism, is in progress. Shryock: I guess what I’d like to hear more about is the potential for breaking out of the double bind you describe in the piece, where ideas of culture and religion simultaneously enable and disable inclusion for Muslims in Europe. It might require rethinking what culture and religion mean, or it might mean thinking in terms that do not privilege either concept. Have you seen movement along those lines in your research? My interactions with Muslim Americans in Detroit suggest that, even when they can’t escape the double bind, they can become more comfortable with it, building alternative coalitions with each other and with members of other ethno-religious communities to enter public space, and civic culture, in ways that encourage a new sense of belonging. Rights. Social Justice. Mutual respect. All are key themes. Being “oppositional” (in both cultural and religious terms) is also crucial to this evolving sense of community; in fact, it’s a strong political strain within multiple Abrahamic traditions. Basically, I’m beginning to think that the whole culture/religion divide is something people can be very flexible in re-interpreting, and whether Muslims actually feel at home in the US, or Europe, will shape the content and appeal of those re-interpretations. Jouili: That’s an interesting question. I should perhaps answer with a two-fold response. On the one hand, one might ask, “do European Muslims like my interlocutors themselves perceive the discursive conundrum I described in this piece”? Given that terms like culture are so much part of our everyday language (as Webb Keane remarked), we do not necessarily use these terms conscious of their epistemological baggage and thus are not fully cognizant of the potential binds or traps they produce. Especially given that my interlocutors are able to operate them in ways that make sense to themselves. Furthermore, they are not simply operating within these conceptual frameworks; they have been shaped by them and by their underlying assumptions in various ways and thus these concepts seem able to describe and to help them negotiate their situation and improve it. Herein lies the productive potential of these concepts, as you remark for your own research on Muslim Americans. In the CSSH piece I focus more on the tensions and traps, if you will, and thus produce a more negative or pessimistic account. However, in my current book project on British Muslim cultural production in the age of counter-terror, I am equally attentive to the creative and productive ways Muslims negotiate concepts like culture or arts in relation to religion, and how they innovatively articulate new forms of claim-making for belonging, equality, and inclusion but also creatively craft their own life-worlds, with new modes of sociability that build in complex ways on Islamic ethical and aesthetic traditions as well as on cosmopolitan, “modern,” urban ones that configure post-colonial Britain. In this sense, my interlocutors mold these terms productively; they continuously fine-tune them to suit their world-making ambitions. When you look at the artistic and cultural scenes they have created, employing terms like culture and religion in particular ways, they are quite capable of pursuing their goals with this language. This does not mean that they all share the same goals; there is a lot of inner-Muslim tension around the “British Muslim cultural project.” The case is similar for European Muslim women, for instance, who criticize patriarchal practices in their communities by differentiating between culture and religion. That language is perfectly reasonable and coherent when deployed within their own communities, even if certain Muslim groups may contest it. Nonetheless, they actually do succeed in reinterpreting their religious traditions and, furthermore, they transform their broader communities by employing that language. Thus, looking at European Muslim culture discourses is a great way to study and better understand how religious traditions change when their practitioners are shaped by new languages and concepts that produce different kinds of desires, aspirations, and norms. And in both cases that I discussed in the piece, the developments reshaping their communities make them feel perfectly in tune with a number of discourses and norms that produce notions of Europeanness. So, when you look exclusively from this angle, you might even ask, given the productive potential of these concepts, why would they simply throw them away or even immediately perceive the double bind or trap that I would argue lies nonetheless engrained within them? Now, I come to the second part of my answer. Without a doubt, the issue becomes quite a different one when one probes these productive discourses and practices in regard to the responses they elicit within the mainstream European societies that today articulate racist exclusions in highly culturalist terms. There lies, of course, the rub. Because these concepts only very incompletely succeed in promoting European Muslims’ desire to gain recognition and acceptance. When we observe how various Muslim culture discourses repeatedly seem to fail in their ambition for unreserved recognition and inclusion, then we are forced to examine whether these concepts do not generate certain traps. It is in this analytical process that one needs to take into account the different conceptual histories and epistemologies on which contemporary Muslim culture discourses often build. And here we see how the modern conceptual history of the culture term evokes an exclusion of other kinds of epistemologies, notably non-Western ones, such as those produced within Islamic traditions – which makes it then so hard for my interlocutors to gain recognition by employing precisely these terminologies. This points ultimately to broader questions around the commensurability of different epistemological traditions. Transforming one by making recourse to another might make total sense to practitioners who are exposed to both. But what happens when one tradition is hegemonic and the other is not? Does a hegemonic epistemological tradition allow followers of non-hegemonic ones to partially transform their traditions in conversation with the hegemonic one? Or is this always “not enough”? Judging from the failure I observed, it seems that it is not enough. In any case, so far, I have not seen my interlocutors delving into these kinds of critical questions. This does not at all mean that they do not perform important critiques. Their critical labor is perhaps a bit more immediate; they challenge the exclusions engrained in terms like culture rather than the term itself. They claim, with a confidence that comes from the fact that they, as you say, consider America (and for my case, Europe) their home. They claim the right to engage with the dominant discursive frameworks and create spaces within them for themselves and for Muslim traditions while also re-reading their own traditions through these frameworks. And if they encounter exclusions, they can employ different kinds of critical languages, anti-racist ones notably, to challenge them directly. This also allows them to form, as you suggested, new kinds of alliances, here around more secular critical languages. These are also important critiques, and ultimately, who knows (in order to remain optimistic), perhaps they might prove to be sufficient, if only because they are more concrete than considerations of conceptual histories and epistemologies. Shryock: It seems that practical solutions to the problem of Muslim exclusion are being devised in the realm of politics. Coalition politics. Things begin to change, for better and worse, when Muslims can be treated as a real constituency, as a real market, as a real community with interests. I see that happening in Detroit, and a principal blockage is not what people think about religion and culture – although they think about them a lot! – but the fact that the U.S. government is currently pursuing wars against Muslim-majority polities and political movements (Shryock 2013). If you see Muslim people as “enemies,” then the main thrust of governmental policy will be to separate good Muslims from bad ones. Not ironically, the double bind you describe works well for that agenda, too! Mucahit, what do you make of all this? Bilici: I think Jeanette’s essay is rich and interesting, but it also raises questions. I’d like to address her responses to your question, Andrew, but I feel the inclination to smuggle in some comments directed at the main essay itself. Shryock: Please do. The floor is yours. Muslim culture discourses are a result of the collapse of the skydome of nativity (due to immigration, displacement); they emerge in the aftermath of an earthquake where home has shattered into pieces and been pulled into consciousness. This is a unilateral fact for immigrant Muslims. No matter the discourse of hospitality (liberal or otherwise) on the part of the host societies in Europe, Muslims inevitably face this question of building (or belonging to) a European culture. The Muslim need for world-making and the question of belonging is not and cannot be reduced to the demands of the European interlocutors. Muslims are in any case obliged to make their home or, put less sympathetically, to prove their membership in the household. In other words, even if Europeans were entirely welcoming, Muslims would still be facing the intersubjective question of culture versus religion, only this time set against their own past and with respect to other Muslims. Anything short of asking Europeans to synchronize themselves perfectly with Muslim immigrants would not be enough to eliminate the question of culture as an incongruent relic that interferes in a religion-based Muslim identity in Europe. In this “construction” business, Muslim civil engineering, so to speak, engages in two distinct projects: demolition and reconstruction. Demolition is all about the culture-versus-religion distinction, where culture is understood as custom or relic, as an interference from the past and from afar that holds back the Muslim subject. Reconstruction refers to culture-as-part-of-Islam, where culture is seen as creativity that opens up room for the Muslim subject in the mainstream. If you think about it, the two cultures in question are really two different things. They just happen to go by the same name. Culture as a deliberate work of artistic production versus culture as broad tradition. That the Muslims in Jeanette’s two contexts both use the same word does not make the two “cultures” at all similar. The first, negative discourse of culture is a negotiation with and dissociation from the past, from a distant tradition that, although Muslim, is no longer “in place.” The second, positive discourse of culture is a constitution of and association with the immediate and near tradition, one that, although European, is now home. Forcing Muslim tradition to split itself into religion versus culture is not at all a uniquely secular story, nor is it a Western trap. As Islam expanded outside its region of origin—into Persia, Africa, Central Asia, and elsewhere— it went through a similar “analysis,” giving rise to the tropes of ’urf and ‘adat that later reformers and other Muslims continue to draw upon. This is less about Europe or the West being antagonistic to Muslims and more about Muslim identity being cultivated in new, non-Muslim contexts. One objection to this line of argument could be the idea that Europeans continue to see religion itself as culture (at least when it comes to Muslims). But this is precisely where separating a presumably core religion from its cultural “baggage” allows Muslims to engage in a two-step strategy: first, de-linking religion from Muslim-majority culture (whether this is possible or even real is entirely another discussion), then attempting a clean entry into “universality.” In fact, this is how Islam gets a seat at multiple universalist tables: humanistic universalism (which is secular) and the Abrahamic family table (which is less so). In both instances, European interlocutors are forced to engage their Muslim counterparts in civil discourse. It basically disarms Europeans, and it prevents them from using the bad credit history of non-European Muslims against European ones. It is important to realize that the space of religion, into which Jeanette’s Muslims discursively retreat out of culture, is widely understood as an inalienable domain, one already under the protection of western liberal law and ontology. By moving into this space, Muslims amputate a history that has become a burden to them, at least as it relates to their belonging in the West. The maneuver also locks their European interlocutors into a Rawlsian “original position,” behind the “veil of ignorance.” With such a second birth, Muslim subjects can begin to interact with law and society on equal terms, no longer weighed down by a backpack full of “culture.” Perhaps we should be a bit more cynical about Muslim naïveté with respect to culture-versus-religion talk. One could just as reasonably see it as a contingent opportunity, or a sly survival strategy, deployed with little regard for academic judgment or concern for logical correctness. That most of their European interlocutors do not buy, or continue to ignore, the Muslim strategy of distinguishing between religion and culture does not mean that making such distinctions does not work. Jeanette shows pretty clearly that Muslims are making significant intersubjective gains on this front, even as their non-Muslim interlocutors continue to push back. This is not so much about persuading the other party as it is about claiming a spot in the public domain. For that purpose, I think the strategy works. Shryock: I will accept your challenge to be more cynical, Mucahit, since it fits well with my temperament! But it also speaks directly to the matter of intention, which is another privileged motif in all discussions of agency and the freedom to choose how one worships. It’s also a perfect bridge to Esra’s workspace: conversion. Your research is fascinating, Esra, because you deal with Germans who intentionally cross into Islam from a Christian, Jewish, or nonbelieving background. Often, these new Muslims are the most willing to distinguish true faith from mere culture, and they use this distinction to criticize (rather confidently) what lifelong Muslims believe and do. Perhaps we could learn a lot from watching these avid converts “get over” this initial willingness to rake their fellow Muslims over the coals! Özyürek: In my research I’ve seen that European (specifically German) converts to Islam are much more invested in the separation of culture and religion than born Muslims are. Even though this separation allows them to promote the idea that as Germans they are fully legitimate Muslims, there’s no consensus about what German Islam actually is. It’s important to note that this is not a new discussion that came into being because of the post-World War II immigration of Muslims to Western Europe from the Middle East and Africa. For well over a hundred years German converts to Islam have been promoting the idea that an Islam freed of unnecessary Middle Eastern flavors is perfectly fit for the German culture and nation. Many contemporary discussions about Islam in Europe are guided by ideas that have their origin in the German Enlightenment, with its focus on the rational individual and rational religion – and even deism. By contrast, the worldwide trend of Islamic revivalism and anxieties around immigrant integration are much more recent influences on the culture/religion discourse. Different groups of European Muslims seem to privilege only one of these sources of influence as they join in debates around the possibility of adapting Muslim life to Western Europe. West European converts, at least the German ones, have long been invested in stripping Islam of its Middle Eastern qualities. Muhammad Asad (born Leopold Weiss in 1900), the most renowned German-speaking convert to Islam, translated the Quran into English in ways friendly to European rationalism. When he was troubled by the jinn, for example, he simply eliminated the concept, replacing these creatures with psychological notions, such as good and bad impulses (Hofmann 2000, 244). As someone who met Islam in Palestine, and later lived with Bedouin in Saudi Arabia, Asad at first eagerly adopted Arab cultural practices. He eventually grew disappointed with born Muslims, however, divorced his Arab wife, and moved to Spain with a convert wife of Polish background. Though less influential, a more representative type of German Muslim is Hugo Marcus, a Jew who converted to Islam in Berlin in 1926 and became the head of the first Muslim community there. Marcus argued that Islam is the most modern, progressive, advanced, and rational of religions and therefore the most suitable to carry Germany out of the crisis years of the 1920s (Baer 2017). Marcus’ discussions of Islam mixed references to the Quran and the life of Muhammad with invocations of Goethe and Nietzsche. Centuries of Muslim interpretations of Islam were largely irrelevant to him. In Sunni Islam, Marcus found the better Protestantism. The idea that Islam is the most rational, progressive, and practical religion is alive and well in the twenty-first century. I have met many well-educated Germans who base their social commitment to Islam on what is, essentially, a Protestant interpretation of it. In a lecture delivered in a German-speaking mosque in Berlin, a convert put it this way: “When I converted to Islam twenty years ago, I was convinced by the clarity and comprehensibility of this belief. It appeared so rational, so reasonable, so close to reality that I never had the impression that I was taking on a new belief. Rather, I felt that I was rediscovering my own innate belief, the belief I always carried with me.” Needless to say, while this appeal to an Islam cleansed of (Middle Eastern) culture and tradition seems universalistic, in contemporary contexts it comes across as highly particularistic and, more to the point, Eurocentric. Some German converts take this line of thinking to its extreme and argue that, if they could manage to send all Turks and Arabs back to their countries, Germans would finally see that Islam is the most fitting religion for their national character. Another group of Muslims who thrive on the separation of religion and culture are the Salafis, who could not be less interested in the Enlightenment, Goethe, or Nietzsche. This puritanical movement is still small in Western Europe, but growing, and it is highly securitized. Due to its conversionist, literalist, and anti-traditionalist tendencies, Salafism is a popular path among converts to Islam. By rejecting what they see as the innovations in Islamic belief and practice that have accumulated since the early days of Islam, Salafis do not recognize the four legal schools of Islamic teaching and the national interpretations often associated with these schools. As a result, Salafi mosques in Western Europe are unusual in their capacity to represent the real demographic diversity of local Muslim communities. It is in the Salafi-oriented mosques that one sees Muslims of several ethno-national backgrounds praying together, listening to sermons in the language of the host country, and even marrying each other across multiple lines of identity. In Being German, Becoming Muslim (2014), I argue that because of its unique ability to bypass all questions of national tradition and background, Salafism puts German, Japanese, and Arab Muslims on equal footing; by doing so, it offers a post-ethnic sociability that corresponds to the realities of post-industrial, post-immigration Western Europe. Another Muslin group that promotes a separation of religion and culture is the reformist liberal mosque movement now active in Germany, the Netherlands, France, Denmark, and the United Kingdom, where men and women pray together behind a woman imam who is not wearing a headscarf. The leaders of this very small (but very loud) group make the diametrically opposed argument that some Middle Eastern cultural traditions are in fact consistent with European values, but it is the unreasonable and archaic belief system associated with Salafism that should be ditched in Europe, and eventually around the globe. 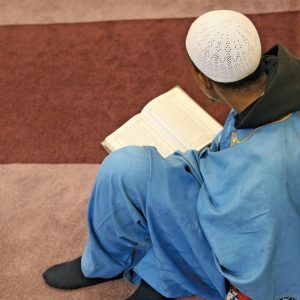 They suggest one should not take the Quran as the literal word of God, but rather as a historical document that needs to be evaluated in its context; rituals such as circumcision should be replaced by a symbolic act; and fasting and praying should be adjusted to the demands of modern lifestyles. At the same time, they argue that traditions that create community, such as Eid celebrations, and especially the foodways that surround these holidays, should be kept. National governments across Western Europe invest considerable financial and cultural resources in the establishment of a generically European Islam, or specifically German, French, or British Islam, but they never get close to showing us what this Islam should look like. This is ironic, because for over a century many West European Muslims have practiced a de facto European Islam, even though their interpretations of it sometimes look radically different. It would seem that both Islam and Muslims travel well to Western Europe, and they do so in their full diversity. It is also clear that, once in Europe, they give way to becoming new kinds of Muslims. Shryock: What puzzles me is how ambivalent people can be about this process. They don’t want to acknowledge it; they are genuinely unaware of it; or they can’t agree on whether it is good or bad. Like you, Esra, I’m intrigued by how the Muslim presence in Europe is continually de-historicized (by Muslims and non-Muslims alike) and treated as a contemporary immigration issue. The same thing happens in North America. Muslims have lived in Detroit since the late 19th century. From the 1920s on, many of them have never been immigrants (Howell 2014). Yet the culture/religion binary is just as pronounced among American-born Muslims as it is among newly-arrived Muslims from Lebanon, Bosnia, or Iraq. In fact, it is used to greatest effect as a discourse of integration that American (and Americanizing) Muslims speak to each other. It’s an in-group, disciplinary rhetoric meant to protect good religion from bad culture, and good culture from bad religion. As such, it can quickly become anti-immigrant in tone. The versions of this discourse Jeanette lays out in her essay seem designed to address problems of minority status, modernity status, and pluralist inclusion in nation-states whose mainstream religious and cultural identities are not Muslim. As she notes, however, the same culture/religion discourse is present throughout the contemporary Muslim world, where it has a defining relationship to national political cultures. And Mucahit reminds us that distinctions between din and `urf have been commonplace in Muslim societies for ages, and they seem to be doing similar kinds of work. This is where you can help us, Kabir. Your research among Alevi minorities in Turkey is unlike the Western settings we’ve been discussing so far. But there are so many common threads, and most of them run through contested notions of Alevi tradition as (good) culture and (bad) religion. I’m hoping you find that interpretive framework as reductive as I do! Without ignoring it altogether, could you point us toward alternative orientations, both among the people you work with in Turkey, and among analysts who would like to disrupt the frame? Tambar: One way to approach your question about alternative orientations is by thinking more ethnographically about critique – that is, to analyze how our interlocutors reflect on, diagnose, or otherwise criticize the socio-political conditions of their inclusion and exclusion. What an ethnographic approach of this sort requires is a conception of critique that is not only a discourse about social practice but is a practice in its own right. The question, then, is how acts of critique are shaped by the historical and institutional conditions that they seek to bring into question. In your dialogue with Jeanette at the beginning of this conversation, you asked about the potential for breaking out of the double bind that she incisively diagnosed in her essay. In her response, Jeanette offered a fascinating glimpse of her current research. She notes that British Muslim artists are often creatively navigating multiple artistic and epistemological traditions but that they rarely scrutinize the historical burdens and political traps embedded in the concepts of religion and culture. It seems to me that there is a crucial question nested in Jeanette’s discussion, which concerns the possibility of criticism: Are efforts to critique the double bind vexed at the outset, if any such critical discourse is obliged to adopt the very categories that produce that double bind in the first place? Is there space for a critique that exceeds what Mucahit identifies as a survivalist politics – a critique in which Muslim minorities formulate terms of self-presentation that are not always already encoded by the racist histories that inform mainstream public discourse? My formulation of these questions is only a tentative starting point. In fact, the questions, as I just posed them, might be misleading, if they are understood to call for answers that take the form of a simple yes or no – either critique can stand outside of the double bind, or it is compelled to reproduce it. Perhaps we need a revision of the problem that is not directed at faulting actually existing critiques for their conceptual limits and aimed instead at understanding their social forms and effects. That is to say, we need to formulate a set of questions more conducive to open-ended ethnographic inquiry: Where do we identify the locus of critique, and who can we recognize as a “critic”? In what social settings does criticism arise, to which audiences is it spoken, and what aesthetic and linguistic forms shape how it is produced and received? What is the form of life in which critique can arise and sustain the promise of an alternative? Shryock: That last question is especially good. Can you get us closer to a grounded example? Tambar: In my book about Alevis in Turkey, I was interested in a dynamic quite similar to what Jeanette and Esra describe: how categories of religion and culture are deployed by a wide range of actors to regulate how Alevis are permitted to present themselves in public life. I examined how Turkish state authorities have valorized certain Alevi ritual practices, but only on the condition that such practices be designated as a form of Turkish folklore rather than as a kind of Islamic worship. I went on to analyze how Alevi organizations have debated these designations, often by employing the very conceptual oppositions that the state has established, between religion and culture and between worship and folklore. The point I want to emphasize here is that these concepts arise in a wide variety of social settings. They are not only the topic of national debate; they also inform lived experiences of Alevi ritual practice itself. The concepts of religion and culture inform the kinds of spaces in which these practices are performed – whether, for instance, they are organized in a building marked as a space of worship, or whether instead they are housed in settings unmarked for religion as such, including a banquet hall, a summer festival at a local village, or even outside of a shopping mall. Ideas of religion and culture influence how organizers plan for particular arrangements of seating – whether, for instance, people who come to the event will understand themselves to be participants or spectators; whether they will sit on the floor or on seats, in a circle or in rows, and in areas that are gender-segregated or mixed. Notions of religion and culture also define norms regarding the proper emotion and disposition that audiences should maintain in these practices. Concepts like religion, culture, folklore, and worship articulate with an entire pragmatics of social interaction and material practice. In short, they help to produce a form of life. A critique of such concepts, then, includes but cannot be limited to questions of administrative policy. It also targets the forms of sociality that these concepts have justified and have helped to sustain. To give one example, I observed an Alevi religious officiant (dede) reprimand a youth group that was attempting to perform a devotional dance. Wanting to ensure that the rite be performed as an act of religious worship, the dede immediately worried that the aesthetics of the youth group’s performance was of the sort that one commonly finds in Turkish public life these days – the kind of performance, in fact, that state officials would readily identify as folkloric. No doubt, the dede was making recourse to the terms that structure public debate on Alevism, including the very religion/culture binary that has become so ubiquitous across Europe and the Middle East. In this regard, his critique did not present an alternative that claims to be outside of the hegemonic discourse on religion-culture. But it is also important to note that his critique in this setting was not addressed to state authorities but to an Alevi youth group; he was not seeking to challenge the discursive strictures of public policy or to strategically claim a position in public space. To the contrary, he was expressing a concern about the very form of public presence that Alevis have been summoned to adopt. He questioned the mode of ritual performance that has dictated the way the group is permitted to assemble in public space. The dede’s critique, then, returns to the religion-culture binary, but does so in order to question how these terms have structured Alevi social spaces. If we’re to account for alternatives, we first have to account for the social lives of the concepts themselves – how they articulate with historical practices and are given material referents in the world. To what, after all, do our interlocutors seek an alternative? Not just to a set of concepts but to the form of life to which those concepts refer. Shryock: Definitely. I think we’ve come full circle. The conversation is a big, amazing loop, and each of you seems to be saying that the double bind of culture/religion is not just a trap, or a tension, but something that makes being Muslim possible. It enables alterity and connection, mutual recognition and critique. There’s probably no getting past it, in analysis or in life. Not in this (secular) world, at least; and not as long as Islam is configured as an Abrahamic tradition in which prophetic revelation is set apart from merely human reasoning. Since you got us started, Jeanette, do you have any parting thoughts? Jouili: Indeed, this has been a great conversation! I think it is fascinating to investigate how these concepts regularly exceed their histories, can be “lost in translation,” or become entangled with the most diverse forms of lived religion, especially as Esra’s examples show. They might respond to broader discursive hegemonies; they might become occasions for what Mucahit calls “cross-cultural misunderstandings,” and they can also be put to use by people who are not interested at all in engaging with broader discursive structures. These examples show, furthermore, how concepts of “religion” and “culture,” with their very problematic epistemological histories, can take on new life when we approach them ethnographically. As Kabir suggested, these alternatives are not completely autonomous in relation to the extant histories of the concepts, but the forms of life they enable or articulate can challenge, even undo, a lot of underlying assumptions. An ethnographic approach can help us locate very different forms of critique beyond the analytical deconstruction of these terms. I agree with Kabir on this point. With all that said, perhaps we should reformulate your initial question, Andrew, about the possibilities of breaking out of the double bind. Rather than looking for ways to break out, we could ask questions like, what does this double bind do to actors on the ground? How do they live with it? What forms of life does it help to enable (and disable), and how do these forms of life confirm or defy the double bind without directly tackling the concepts that produce it? Shryock: Consider my question duly reformulated. In fact, consider it answered in the process! And thanks, all four of you, for this wealth of insight. Baer, Marc. 2017. “Protestant Islam in Weimar Germany: Hugo Marcus and ‘The Message of the Holy Prophet Muhammad to Europe.’” New German Critique 44(2): 163-200. Hofmann, Murad. 2000. “Muhammad Asad: Europe’s Gift to Islam.” Islamic Studies 39(2): 233-247). Howell, Sally. 2014. Old Islam in Detroit: Rediscovering the Muslim American Past. Oxford: Oxford University Press. January 19, 2019 in In Dialogue.